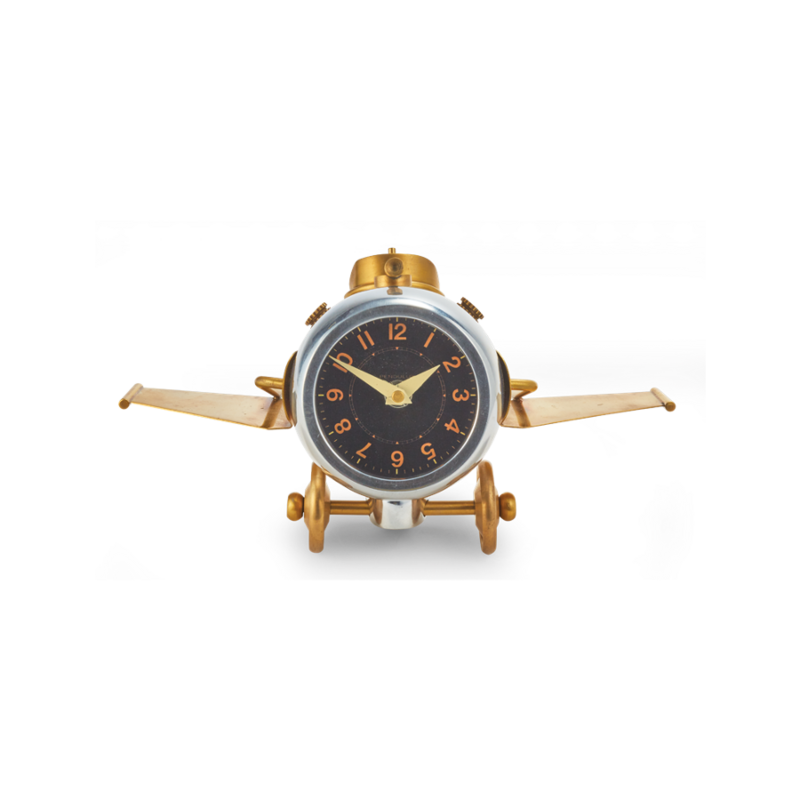 This cool looking desk clock the Thunderbolt is inspired by American fighter planes of the 1940s, in particular the gutsy P47. We’ve taken liberties on the more serious designs of those planes and made ours more playful and desk-friendly. 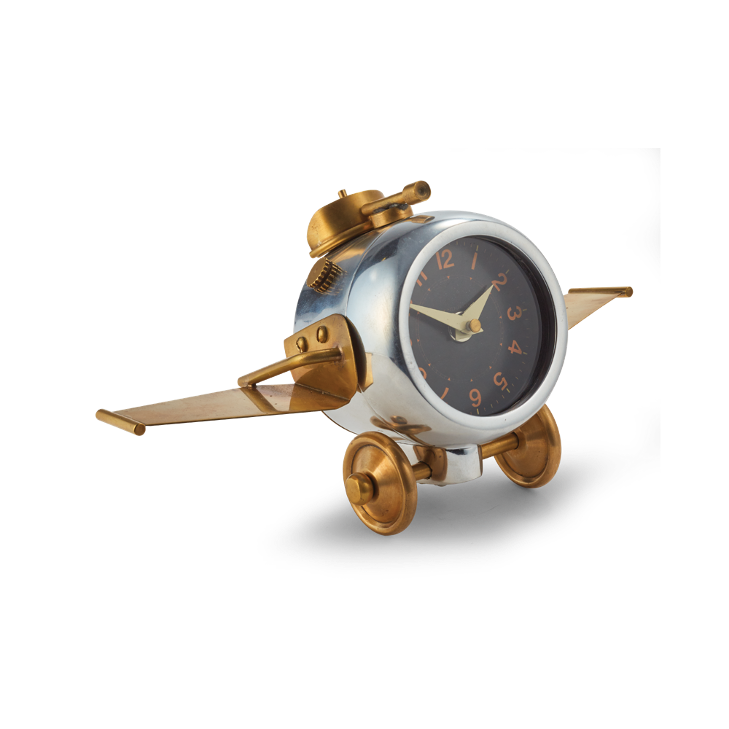 Or even a great item for the room of an airplane-obsessed kid.